Southern Cross offers the largest selection of skippered charter yachts on Moreton Bay. All our yachts are in QLD Transport survey and are comfortably and comprehensively equipped with every thing you could require to make your holiday or corporate event special, including sun awnings, refrigeration and dinghies with outboard’s. All you need to bring is bedding and supplies (or we can arrange for these to be on board when you arrive). Our area of operation is the partially smooth water limits of Moreton Bay covering over 200 square miles of protected waters and beautiful islands stretching from Tangalooma to the Gold Coast. Charters depart and return from our base at Manly Boat Harbour. The harbour is ideally located, boasting a large selection of restaurants, yacht clubs, a pub and shops all within easy walking distance in Manly Village and many beautiful anchorages less than 2 hours sailing time away. Manly is located only 25 minutes drive from the Brisbane CBD and 20 minutes from the domestic and international airports. 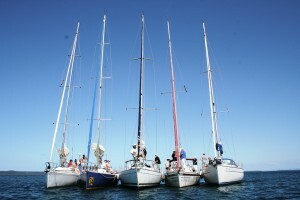 For those who want to unwind, sit back and relax, we’ll do the sailing for you! 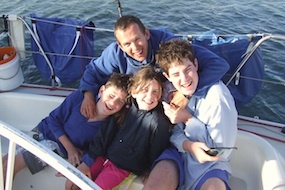 Southern Cross Yachting can arrange a day out or holiday afloat to suit any budget. 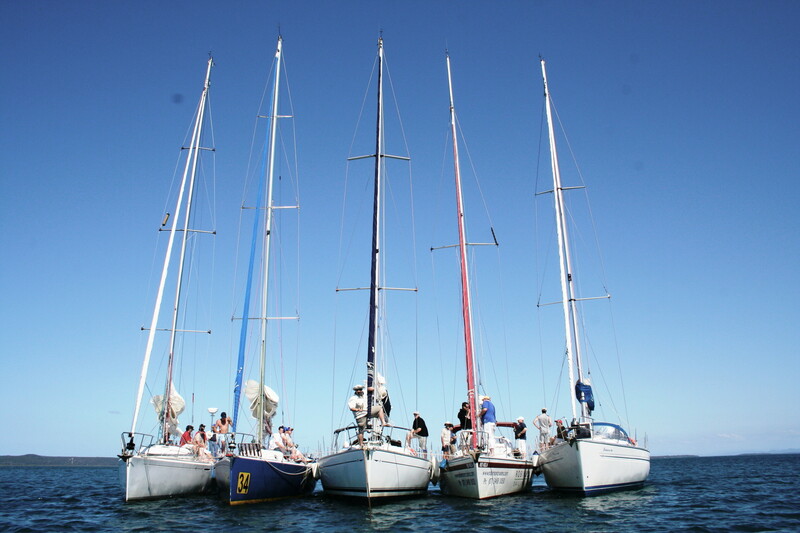 Be it a fully catered holiday on one of our luxury charter yachts or a fun days ‘racing around the cans’ we can arrange a sailing adventure that can be as strenuous or relaxing as you want it to be. 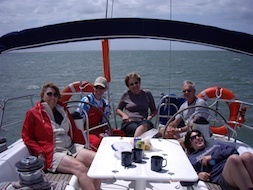 Our fully qualified, friendly skippers know the Moreton Bay area better than most and will make your time afloat with us as enjoyable as possible. Have a look at our charter fleet of yachts as well as catering options, and we will customise your corporate event to your individual requirements.